Fleet monitoring means more than seeing the location of the vehicles and the destination they are heading at. It is a solution to improve your fleet activity on the whole. If you wish to increase your productivity, you can achieve this by optimising the route using updated maps and reminders in real time regarding the traffic on the road. The SafeFleet system is an ideal solution to manage vehicles which are on the road for an extended period of time or which will transit difficult areas. 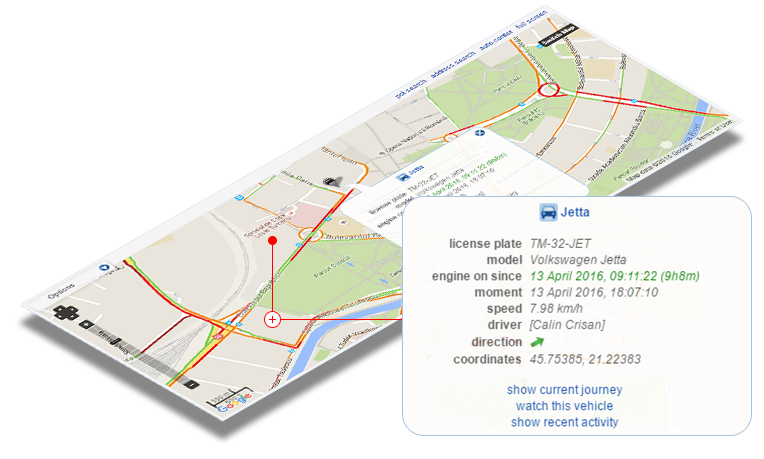 With the help of this function you can see the current position of the vehicle on the map, the recent activities of the vehicle, but also the position of the vehicle at any given time in relation to points of interest or precise addresses. The current position can be sent to an external app through the SafeFleet Portal API. Viewing the position of the vehicles in real time is available only when the engine is on. The position on the map is updated every 10-20 seconds with the vehicle watching function. This function is extremely useful for internal and international transport companies, which can send to their customers the position of the vehicle and the arrival time. Using the SafeFleet Portal maps allows you to track and coordinate the entire fleet, but also to reply more quickly and efficiently to the drivers’ needs and to the customers’ needs. 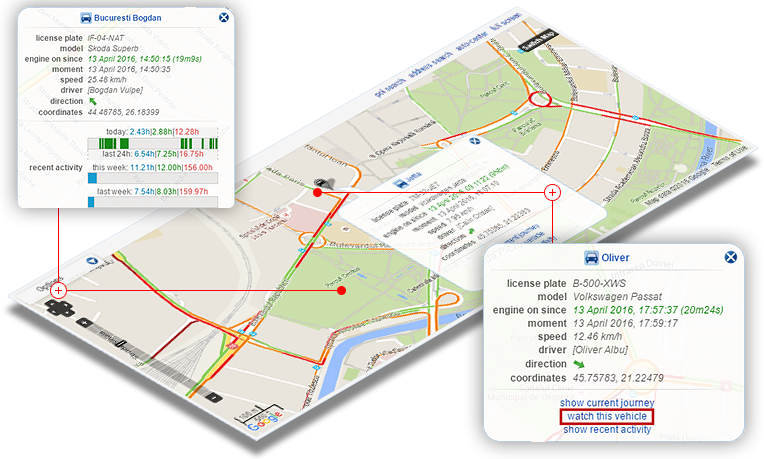 SafeFleet offers both OpenStreet Maps, which include details like house numbers and licensed Google Maps, GoogleMaps Satellite and GoogleMaps Physical. 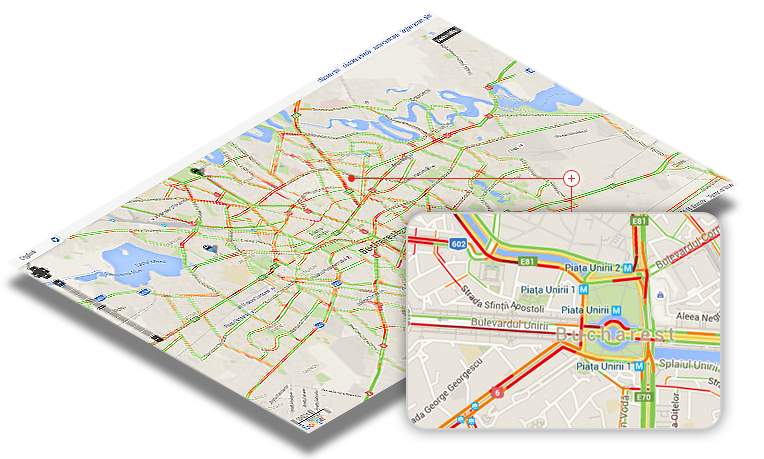 With the help of these updated maps you can find and recommend the optimum routes for maximum of efficiency. Beyond the optimized routes and the watching of vehicles, Google Maps updates related to traffic help you avoid traffic jams, congested areas or areas where vehicles move with difficulty. In this way, you can make fleet management decisions without wasting time and without affecting the company’s activity.